Zone Diet – Realistic Choice for a Low Carb High Protein Diet (a.k.a. 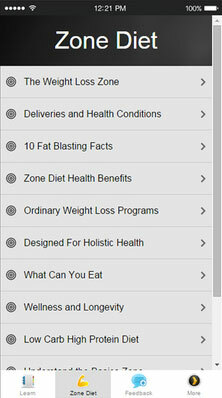 Zone Diet) by Apps Genie Ltd., is a simple, yet powerful all-in-one information hub that features practical tips, videos, articles, meal delivery information, and more – and all of it is designed to help people get informed, feel empowered, and maximize their results from a low carb high protein diet program. 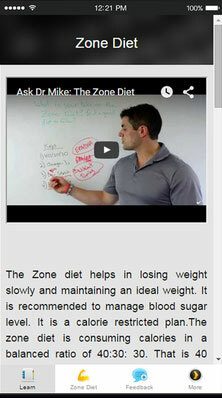 Zone Diet was created to provide people with information and tools so they can make smart, realistic decisions. It’s like having a personal diet and wellness coach on their iPad or iPhone. journey to a healthier, fitter and leaner body simpler and safer thanks to the new app Zone Diet – Realistic Choice for a Low Carb High Protein Diet (a.k.a. Zone Diet). helps satiate hunger – which is especially important for dieters, who often find that snacking between meals or late at night are the root causes of their unwanted and unhealthy weight gain. 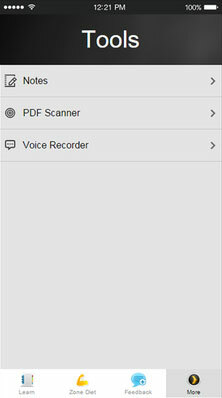 In addition, users can use the app to take notes, to scan and upload documents, and to launch a voice recorder – all of which help them stay organized, and keep their diet on-track and headed in the right direction. Zone Diet – Realistic Choice for a Low Carb High Protein Diet is available now from the App Store at https://itunes.apple.com/app/zone-diet/id1039628505. Based in London, UK, Apps Genie Limited are rapidly building a portfolio of high quality iOS apps for both iPhone & iPad. Focussing on games & utilities, their apps have been favourably received by App Store users worldwide. appshout! on behalf of QRMedia Sp. z o. o.